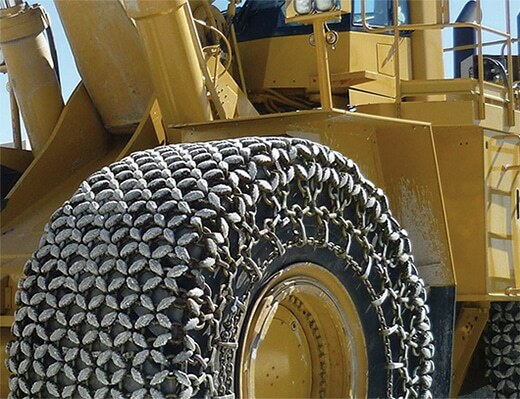 RUD provides tyre protection and traction chains for the mining, quarrying and forestry industries. Our tyre protection and traction chains have three distinct wear levels to provide three zones of wear resistance. Diamond-shaped wear links provide both traction and protection, while middle reinforcement links increase stability, traction and wear volume. Sharp edges on the outer surface area also help increase traction. Each link has extra-wide contact areas to help distribute force and extend the wear life of the connecting rings. RUD Tyre Protection Chains are a dense mesh of alloy steel elements which protect the tread and side. 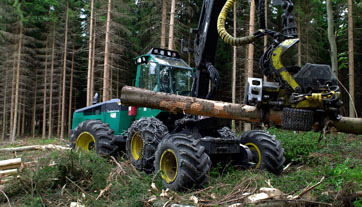 Forestry chains for extra-heavy off-road and forest duty. 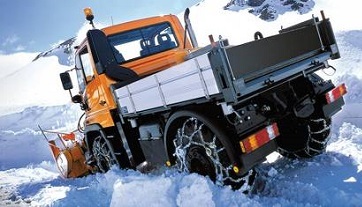 RUD also manufactures tyre protection and traction chains in a selection of compact designs to suit vehicles with low clearance. 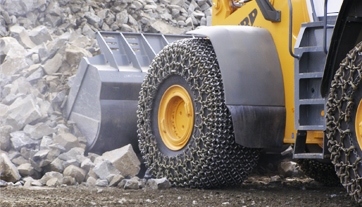 RUD’s innovative Easylock system makes it easy to install tyre protection chains. This patented system eliminates the injury risks of traditional fitting techniques. 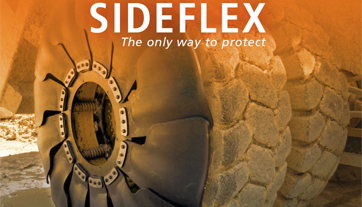 Another RUD tyre protection innovation is SIDEFLEX®, designed to be retrofitted to construction and mining haul trucks. Overlapping plates shield the tyre wall from rocks and debris, protecting the tyre from punctures.